By taking proper precautions and always putting safety first, working as a nurse while pregnant is possible. Here are 9 helpful tips for pregnant nurses. During pregnancy, a mother’s blood volume increases by almost 50%! That’s a lot of extra fluid to be circulating through your body when you are on your feet for 12 hour shifts. This is also why many pregnant women develop varicose veins during pregnancy. If you are a pregnant nurse and haven’t invested in compression socks yet, its time to get a couple of pairs ASAP. 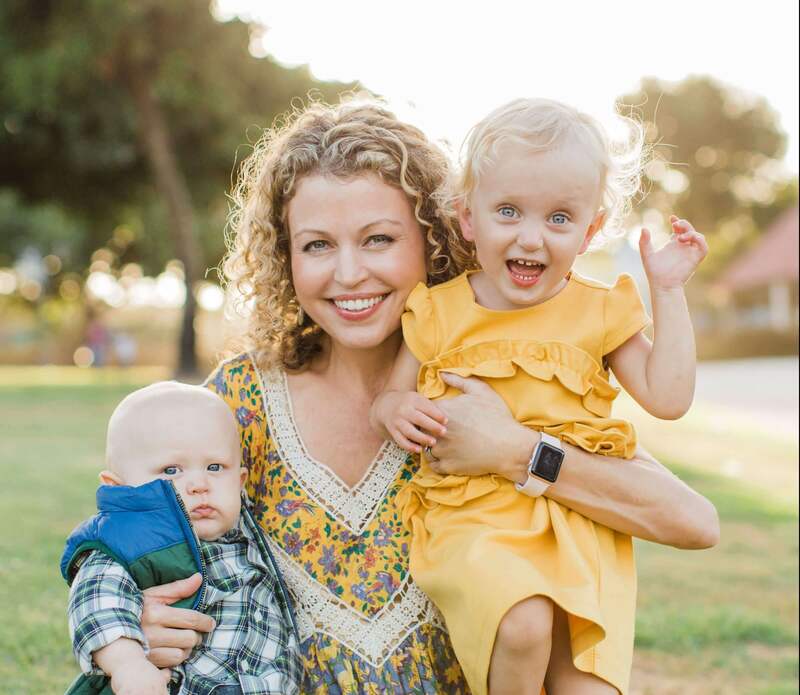 I was able to continue working as an emergency room nurse up until the beginning of my ninth month of pregnancy because I invested in a few quality pairs of toe to waist compression stockings. I wouldn’t have made it past my 6th month without them! Every nurse needs a great pair of shoes to get through a 12 hour shift. But the benefits to wearing quality nursing shoes during pregnancy it is even more important. You will be carrying an extra 25-35 pounds and your feet need support to carry that extra weight. If you thought your feet hurt working as a nurse before pregnancy, wait until you are pregnant! Keep in mind that your feet will swell a little more during pregnancy. Things to look for in a good pair of nursing shoes. During my first trimester I struggled quite a bit with nausea and an overwhelming feeling of hungover-ness (without any of the fun the night before). I was also training to be an ER nurse, so it was more important than ever to be alert and focused. By packing a lunch with nutritious snacks everyday I was able to keep myself energized as well as fend off nausea enough to get through each shift. I just couldn’t go more than 2-3 hours without refueling myself with something healthy to eat. Admittedly, when I forgot to bring food with me I would eat peanut butter and jelly sandwiches from the stash we gave our patients. Although they were nothing special, for some reason they tasted amazing. Never underestimate the hunger of a pregnant nurse! I felt so much better and able to continue working afterwards. Go to bed as early as you can. You simply cannot sleep too much when you are pregnant. This is a fact. Here is a sleep secret that got my through 12 hour shifts during my pregnancy. I would go down to the hospital meditation room during my lunch break, find a comfortable chair and literally pass out for 45 minutes. I set my phone alarm to make sure I was back to work on time. When it when it went off I was so deep in REM sleep that sometimes I didn’t even know where I was when I woke up. The only way you are going to have the energy to make it through your pregnancy while working 12 hour shifts is to make sure you get as much sleep as you possibly can every night. 8 hours would be ideal. It seams counter intuitive, but exercising while pregnant will actually give you more energy to get through a 12 hour shift. In addition, exercise during pregnancy prevents gestational diabetes and hypertension. The rigorousness of working 12 hour shifts as a nurse is exhausting as it is. Add pregnancy into the mix and you might find that you are even more tired than ever. Some pregnant nurses who have already been working night shift continue with that schedule and do just fine. However, those who have rotating day and night schedules might find it especially hard to switch back to the night shift once they become pregnant. Talk to your doctor about whether it is safe for you to continue working night shifts. Communicate with your manager about your specific health needs during your pregnancy. You may want to switch to a day shift only schedule for the duration of your pregnancy. 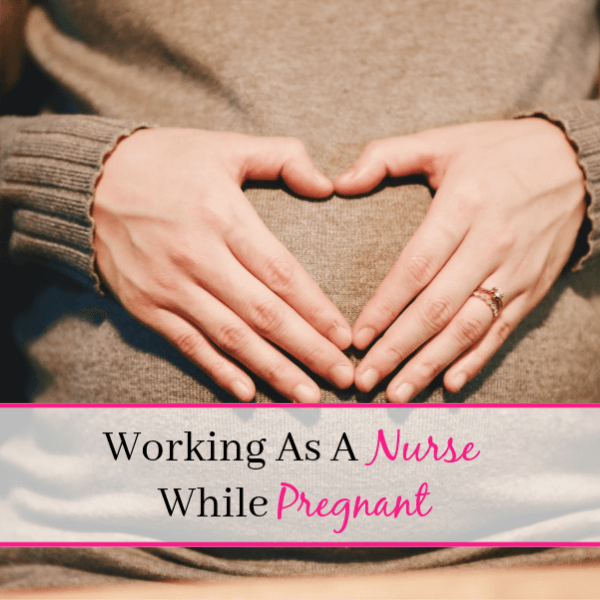 As a pregnant nurse it may be necessary to have a modified work assignment. Especially for nurses who work in rigorous units such as the emergency department. The physical demands of pregnancy might be too much for pregnant nurses already struggling with fatigue, nausea or having to carry so much extra weight. Talk to your manager to see if there are alternative assignments you can have such as working at the monitor, organizing paperwork or auditing patient charts. If these options are not available consider the possibility of working shorter shifts or working two days a week instead of three. Remember, always ask for help if you need it! It is important to keep open communication with administration about when you intend to go on maternity leave. As a pregnant nurse, you cannot predict the future. When I was pregnant with my daughter, I had every intention of working up until my 38th week. But when I had my appointment at 31 weeks my doctor thought it was best that I didn’t work on my feet for more 6 hours a day. While 6 hours seems like a lot in most professions, it’s not much for a hospital nurse. Sometimes we are on our feet for 10-12 hours a shift! Yet, I still didn’t want to go off work because for some reason I felt like I was taking advantage of the system. I thought I had the grit to work all the way through. So, I waited for two weeks before I finally presented my doctors note to my manager. When I finally did, I gave it to him with tears in my eyes because I knew he would have to put me on disability at that time. My maternity leave started at that moment. It was a good thing in the long run because I suffered a placental abruption and had an emergency c-section almost 2 months before my due date. It is wise to listen to your doctor’s advice! Pregnancy can and should be a beautiful experience, even when you are a nurse working 12 hour shifts. 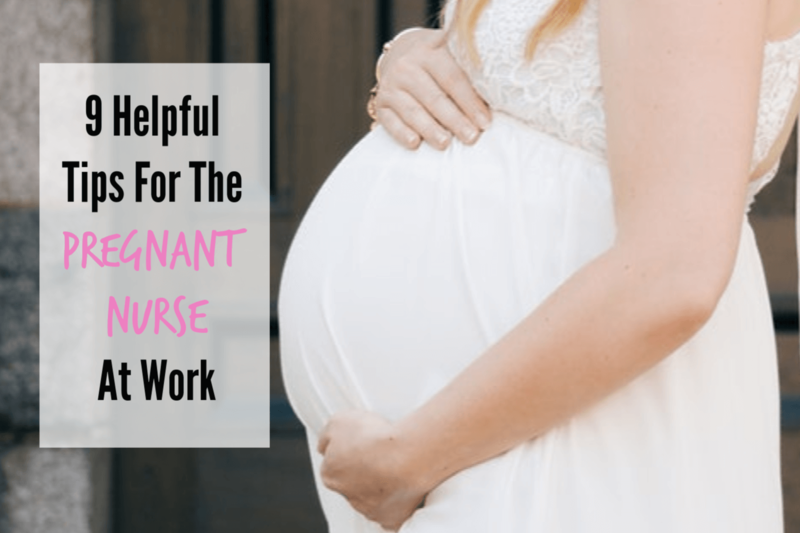 Far too often many pregnant nurses focus on the inconveniences and difficulties they face at work during their pregnancies But with proper precautions it can – and should – be a time filled with good health, gratitude, abundance and most of all joy.